Before Bubba was born, Hubby and I both spoke about how much we hoped Bubba would enjoy books. We agreed that even when he was a little baby we would read him books and then as he got older incorporate them into his bedtime routine. Even before he was born, we had purchased a few books that Hubby would read to my bump so that he felt a bit connected (as chatting to my bump abut his day just wasn't his thing) and one of the books we purchased was called 'The Little Boy Who Lost His Name'. This is a personalised book that tells the story of a little boy who is trying to find his name and it is honestly a beautiful book, in design and content. Recently, Lost My Name approached me and asked if we would like to try their new book and I leapt at the chance! Before I get into telling you all about the new book we were sent, I just want to take a second to tell you a little bit about the people behind these books as I love their story! 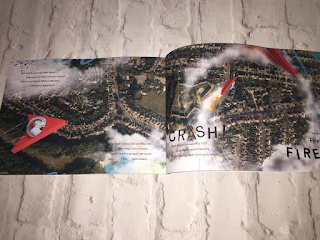 Lost My Name was founded in 2012 by three Dads and an Uncle who wanted to created a personalised book that was bigger and better than any that had come before. They set up small and started to retail their books. People purchased them and word got round about the amazing book about a child that lost their name. They then appeared on (and won investment from) Dragons Den and that when was Hubby and I actually first saw the book. I said to hubby at that point that if we ever had children then they HAD to have that book! 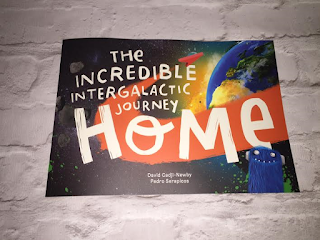 Fast forward a few years and Lost My Name is now going from strength to strength and winning awards left right and centre and now we get to try out their second book ''The Incredible Intergalactic Journey Home''. The first thing that I love about these books is the ease at which you can order them. The website Lostmyname.com is so easy to navigate around and super user friendly. With the book we ordered, all we had to do was type in our address, Bubbas name and then make sure that the satellite image was correct and it was done. You also get the option to add a personal message at the start of the book which I love as it is so nice to remember when you got the book and leave a little message for your little one in it. Lastly I want to applauded the guys at Lost My Name for such a genius concept. 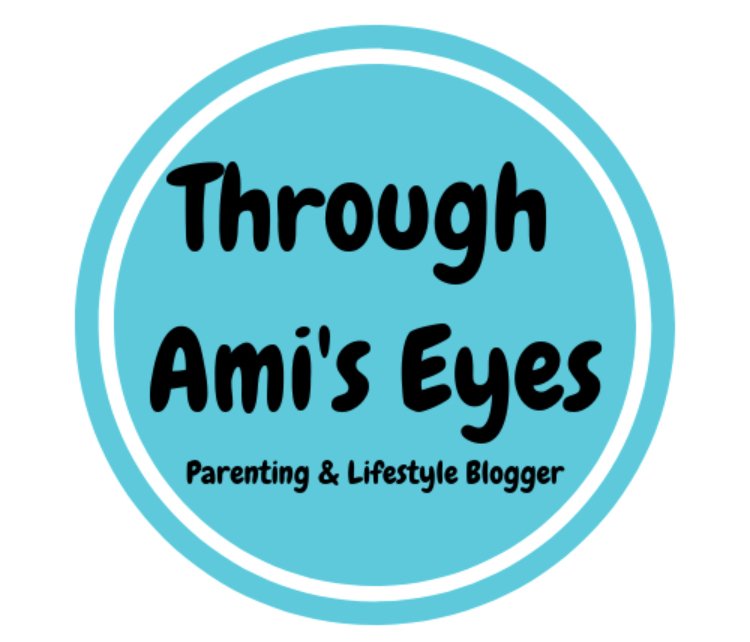 The way that this story is written and the way that it incorporates your child into it is fantastic. 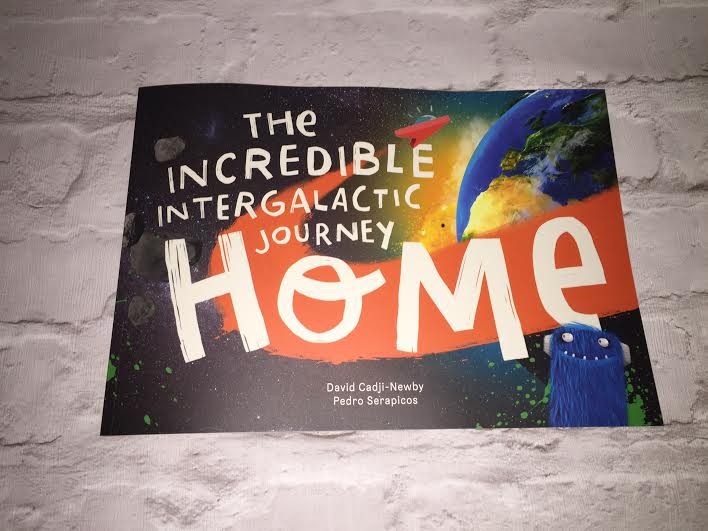 To cut the story short, your little astronaut fly's through space encountering a whole host of weird and wonderful things during the adventure until he/she fly to earth and (this is may favourite bit) see their house from space and comes home. Lost My Name includes a satellite image over your home in the book and it is such a great addition. To me, it takes personalised stories to a new level. Overall I would really recommend this book and their other story ''The Boy/Girl That Lost His/Her Name''. Priced at £19.99 and available direct at the Lost My Name website, I think these make a wonderful gift and addition to every child's storybook collection. Note: we were sent this book in return for this review. All opinion and views are honest and my own.